One of the most common injuries suffered in a car accident is the whiplash, which is quite dangerous. The symptoms of whiplash may manifest weeks or months after the accident. You may be tricked into believing that you are healthy when in reality you have a serious injury. Many people don’t seek treatment after a car accident because they think they weren’t hurt. If you were involved in a vehicle crash and wish to receive injury compensation you should contact a car accident attorney from Annapolis to help you with your case. 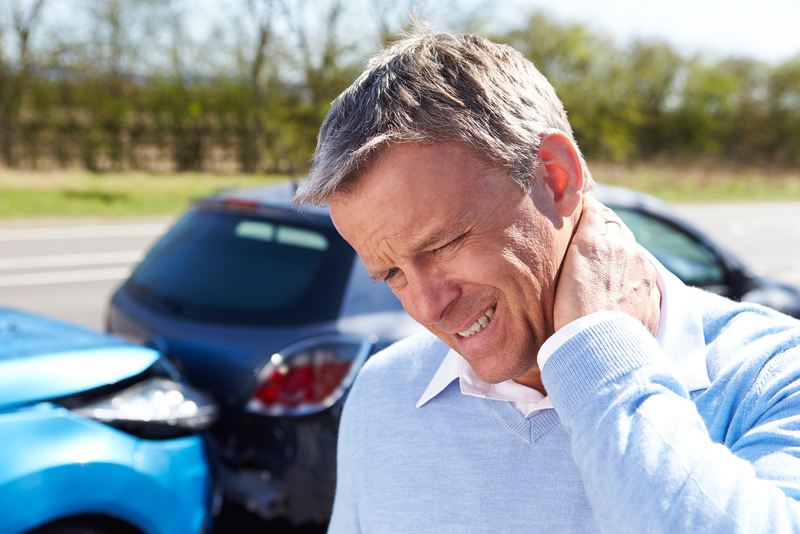 By far one of the most common injuries suffered to the neck in a car accident is the whiplash injury. This is caused by the sudden head movement (forward, backward or sideways) that may damage the supporting ligaments, muscles and other tissue in the upper back and neck. In addition to this, people who get a whiplash injury also get to experience a car head injury in Annapolis. Unfortunately, if you do not get treated immediately after the accident, once the symptoms appear, complications may develop increasing the chance of making the injury permanent. Studies show that more than half of the whiplash victims still deal with symptoms years after the car crash. If you’ve been involved in a car accident don’t assume that you were not injured even if you don’t currently feel any pain or discomfort. You should see a doctor. This is the single most common symptom of whiplash trauma and over 90% of patients suffer from it. Often, the pain radiates across the shoulder, going up into the head and down between the shoulder blades. The whiplash injury usually affects all the tissues in the neck, including discs between the vertebrae, facet joints, muscle, nerves, and ligaments. The facet joint pain may be the most common cause of pain in the neck following a car accident. Unfortunately, the facet joint pain is not visualized on MRIs or X-rays and requires a physical palpitation of the area for a proper diagnosis. Disc injury can also cause neck pain (chronic pain). The annulus (outer wall of the disc) has bundles of fibers that may be torn in a car accident and can lead to the degeneration of the disc and the compassion or irritation of the nerves in the area. Headaches are something common among those suffering from whiplash, affecting around 80% of the patients. Headaches after a vehicle accident may also indicate a car head injury in Annapolis. The best thing you can do is to get checked out by a medical and determine the extent of your wounds. Keep all the medical records your medical gives you. This will be evidence which will help your car injury lawyer from Annapolis to determine the value of the injury compensation. For more information about vehicle accident and a free consultation of your case, you can get in touch with the best car injury lawyer in Annapolis at (443) 569-3950 or send an email to [email protected].